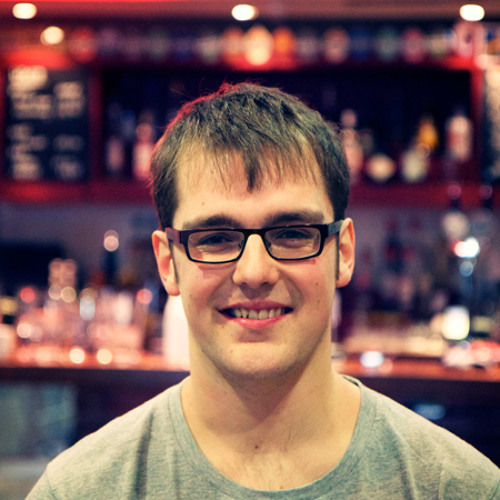 Kieran McLeod – Trombonist Kieran McLeod is an award winning jazz trombonist and composer from Aberdeen. He is a current member of the Jullian Argüelles Septet, Iain Ballamy’s Anorak XL and the Keith Tippett Octet. Since moving to London, Kieran has graduated from the Royal Academy of Music’s Jazz course and has performed with artists of international fame such as Snarky Puppy, BBC Big Band, Ken Peplowski and Stan Suzmann. As a bandleader, Kieran is regularly touring the UK with his sextet, ‘New World’ and his 30 piece Big Band, ‘Human Resource System’ who have been described as “possibly THE top band of rising talent on the London scene”. Kieran has recently been touring festivals in Cuba with Nomad Collective and across Europe with both Riot Jazz and Young Pilgrims. www.kieranmcleod.co.uk www.facebook.com/HumanResourceSystem https://soundcloud.com/kieranmcleod/sets https://twitter.com/kieransmcleod — Quotes — "young trombonist who is really saying something" - Dave Liebman "trombones are not supposed to be able to do that” - Iain Ballamy “possibly THE top band of rising talent on the London scene” - Seb Scotney, London Jazz News on Human Resource System http://www.londonjazznews.com/2013/05/preview-move-indoors-makes-this-one-of.html “Trombonist Kieran McLeod produced an improvisation of almost stoic effervescence” - Rob Adams, Jazz in Europe http://jazzineurope.mfmmedia.nl/the-scottish-national-jazz-orchestra-with-dave-liebman/ “Kieran McLeod's funky trombone” - Rob Adams, The Herald — Awards — Winner Don Lusher Solo Trombone Award - British Trombone Society 2012 Nominee, Trombone Category - British Jazz Awards 2013 I am a trombonist, last year I won the Don Lusher Award and graduated from the Royal Academy of Music Jazz Course.